Adventure is never far in the Forgotten Realms, and nowhere do more quests await than in the greatest city in all Faerûn – Waterdeep. The factions of the city vie for prestige by bringing adventurers into their fold to complete quests and secure acclaim, all at the behest of one of the mysterious Lords of Waterdeep, the secret cabal that oversees the city. Through their agents, the Lords contract mercenaries, conduct intrigues, and pursue quests vital to the safety and security of the city. Lords of Waterdeep is a worker placement game that uses aesthetic elements from the Forgotten Realms setting for Dungeons & Dragons. It is, however, a distinctly different game than its ostensible inspiration; rather than zooming in on the adventurers and quests themselves, they become resources in a larger contest to collect points. The Lords of Waterdeep place their Agents around the city to recruit Fighters, Rogues, Clerics, and Wizards; to play Intrigue Cards; to draw Quest Cards; and to conduct civic business such as acquiring coins, constructing new buildings, and taking control of Castle Waterdeep to secure first-player status. In doing so, players hope to collect enough adventurers to complete one or more of the Quest Cards in their possession, scoring points and sometimes other bonuses for their efforts. Streamlining each player’s goals is the fact that each Lord of Waterdeep scores additional points for completing specific types of Quest; Piety Quests universally require Clerics for completion, while Warfare Quests will need Fighters, Skulduggery Quests will need Rogues, and so on. Points can also be secured by constructing new buildings, which unlock more locations for Agents to travel to. Buildings may provide more resources than the default spaces on the board can offer, but the owner of a building also benefits when another player chooses to land there. Intrigue Cards add another dimension to play; Agents dispatched to Waterdeep Harbor allow players to use their Intrigues and subsequently reactivate at the end of the round, a useful delaying mechanism at times. Intrigue Cards may recruit or steal adventurers, provide or steal money, hand out new Quests, or forcibly divert other Lords with Mandatory Quests that impede progress on their other efforts. Used judiciously, these powerful tools can have a strong impact on the game state, though they’ll rarely buy you friends. The game plays out over precisely eight rounds, with extra Agents appearing partway through to account for the likelihood of buildings providing more options. Early rounds tend to be limited in terms of scoring opportunities, and Quest selection and resource planning are more important. Later on, players should be prepared to complete at least one Quest per round, often looking to the bonuses completed Quests provide to set up chain reactions. Plot Quests offer repeated benefits after completion, and are extremely valuable if they can be finished. Lords of Waterdeep is a relatively good game (with a very, very well-designed storage tray) that just seems slightly off-kilter at times. Mandatory Quests can utterly hose a player and offer leaders too much flexibility in punching down if they’re present. One of the Lords scores not for Quest types but rather based on buildings, already a decent strategy for earning points – we leave her out of every game, as we’ve found her to be a guaranteed win. Which Lords are present and which buildings appear in the early game can functionally dictate who’s on easy street and who is in trouble – Wizards and Priests are harder to come by than Fighters and Rogues, and if any particular adventurer type is made scarce, Quests pertaining to that type will be significantly harder to complete. Plot Quests are also an imbalancing factor – there is a turn order, after all, and only two people per round can draw a Quest. If two powerful Plot Quests appear early on, players 3 and beyond will not have a shot at drawing them. 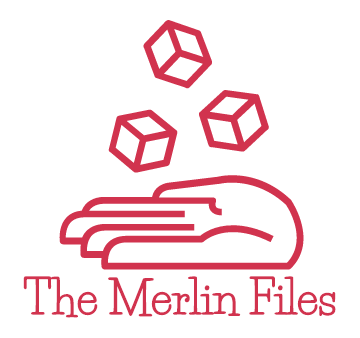 The game has good production values, but I find that between its imbalance and the occasionally frustrating pursuit of resources that others seem to have just falling into their laps, the game keeps me disengaged to the limits of my tolerance. Buildings distort the traditional worker-placement solution of restricting the resources available to the leader by making more of them available, and again – you can randomly be forced into competition with other players while someone else is relatively in the clear, which ostensibly calls for a level of analysis and interference in quest selection but in practical terms rarely allows for it. I’ve recognized times where I could have played kingmaker and elected not to, but rarely have I felt on top of my game without feeling like others weren’t. 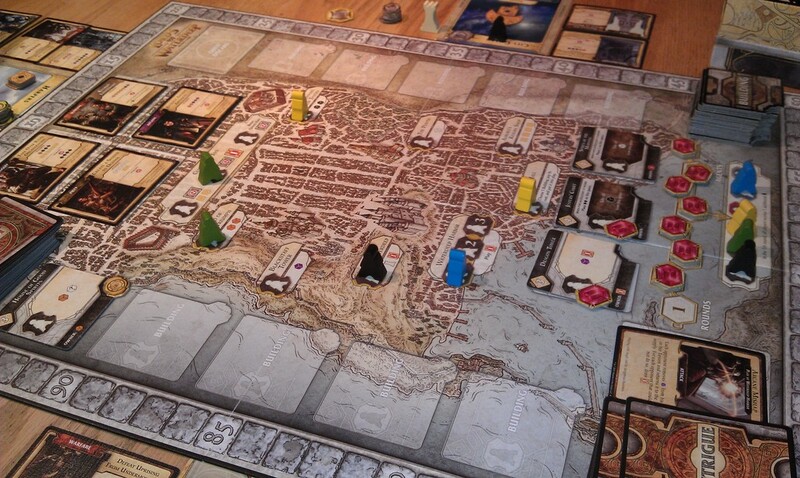 On the whole, Lords of Waterdeep is a well-made game that suffers some balance issues and lacks, at least for me, a truly engaging central mechanic. I’m happy enough to play a session of it, but I wouldn’t play two in a row. I know enough people who would that I feel safe recommending this game at least for a try. Of the D&D licensed board games, it’s still likely the best no matter how you slice it. This is hands down one of my favorite games and I will always play it. The mandatory quest cards are a thorn in my side. Really fun game. You’re definitely at the mercy of luck to some extent, but I still find the game very engaging. It’s one of my favourite games right now. I guess it’s good that this game is well-regarded, but it’s just another sign of the way Hasbro is looking to sell the D&D IP. 6E ahoy!